As digital supply networks supersede the traditional supply chain, distributors increasingly consider Electronic Proof of Delivery (ePoD). 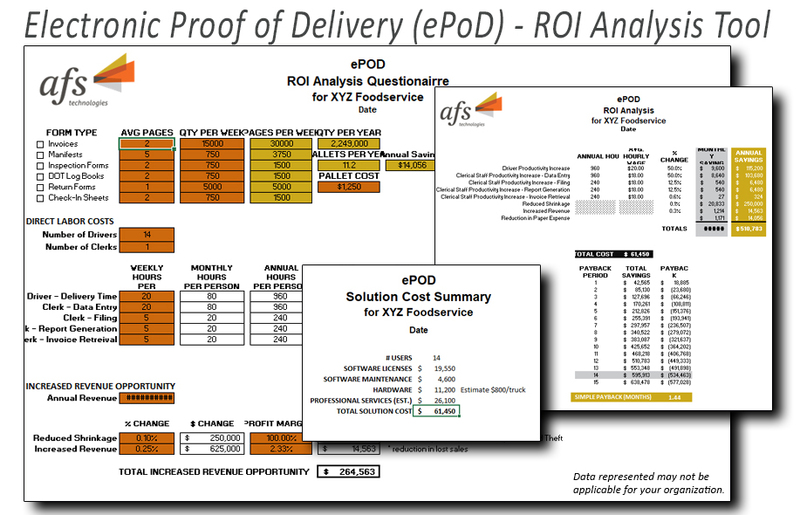 And the first question that comes to mind is: What precisely is EPoD ROI? To have an AFS expert quickly walk you through the ePoD ROI calculator, email AFS Sales Consultant, David Feaster. Previous articleOMSi: Is Hands-Free for Me?